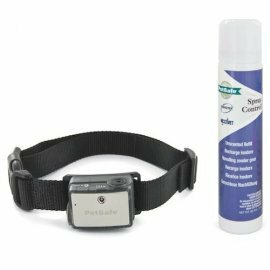 The PetSafe Big Dog Deluxe Spray Bark Control Collar senses your dog’s barking. A unique, patented sensor uses both vibration of the vocal chords and sound sensors (dual-detection) to distinguish each bark from other external noises. As he barks, he receives a safe but annoying burst of spray. He’ll quickly learn the association with this stimulation and stop the unwanted behaviour. 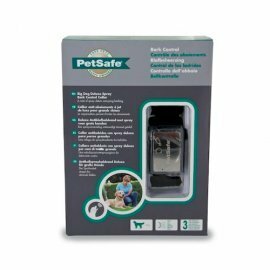 The PetSafe Big Dog Deluxe Spray Bark Control Collar is proven effective in deterring barking when it is worn. 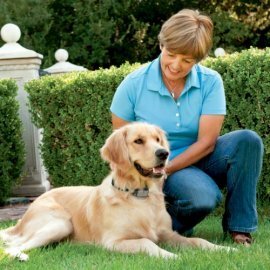 The Bark Control Collar is safe and effective for all breeds and sizes of dogs, however, it is recommended for big dogs, 18+ kg. Suitable for Recommended for big dogs, 18+ kg.